Installing heavy equipment with moving parts, building bridges, or doing foundation repair, requires planning and foresight. Otherwise, the installation can lead to degradation of the product being installed, and there will be high associated operating costs. Now, the main critical component to most any heavy installation after the foundation is poured is bolting concrete. 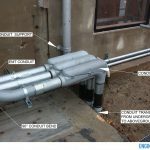 We will go over what you need to consider, prior to bolting concrete; or what you need to be watchful over when requesting professional help for such work, by going over five effective ways concrete can be bolted. Ask yourself, is the foundation able to carry the weight of the installed product? If the installed product is too heavy for the foundation, not only will the product be damaged, but the foundation will be crushed. Heavy equipment or machinery typically requires concrete or structural steel structures for a foundation. So when uncertain if a foundation has the structural strength for a load to be placed on top of it, it is recommended that a new concrete pad be designed and poured. The newly designed foundation must be able to not only support the load, but to absorb the constant forces generated when the load is in use. If the foundation is properly designed and capable of supporting the load, bolting the concrete becomes the next step. There are five effective ways to bolt concrete. Epoxy bolts are used in existing concrete. For installation, a hole is drilled into the existing concrete and combined with epoxy, and then a bolt is driven inside. Epoxy is a thermosetting resin that is characterized by strong adhesion and toughness. In use with the bolt, the epoxy holds and sets the bolt. In fact, epoxy is stronger than the concrete it is placed into. That is why epoxy bolts are ideal when the bolts are very close to each other or when the bolts need to be placed close to an edge. Grout bonded bolts are very similar to epoxy bolts, as these types of anchors are installed into existing concrete. However, instead of using epoxy, a very strong grout is used for securing the bolt. The reason why this grout is used over epoxy is because it can withstand hot temperatures and is easier to drive into holes. However, the downside is that it does take longer to complete the process, and it is not as high strength as epoxy. That’s why it’s important to evaluate each project separately in order to determine what the best option is from a cost savings, practicality, and longevity stance, when choosing grout over epoxy. 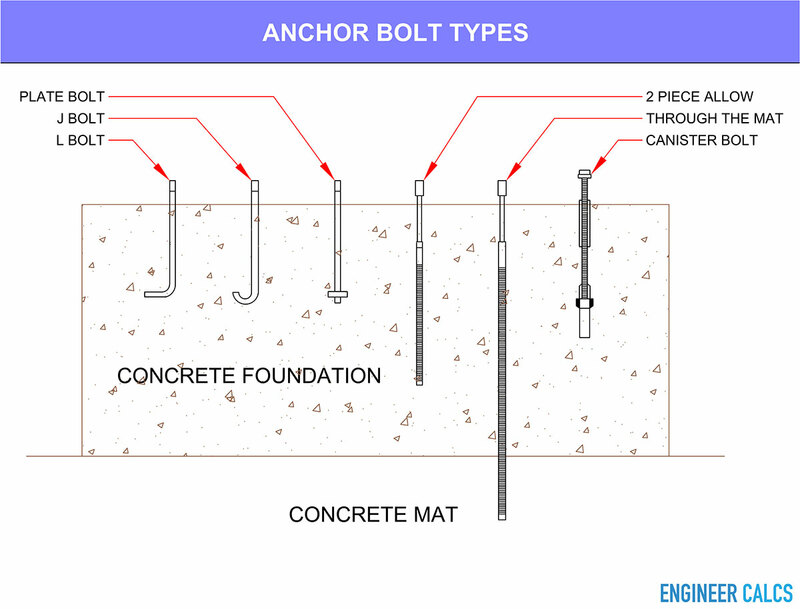 The most common method for bolting concrete uses cast-in-place anchor bolts. This bolt is threaded, and the head of the bolt is cast in the concrete. 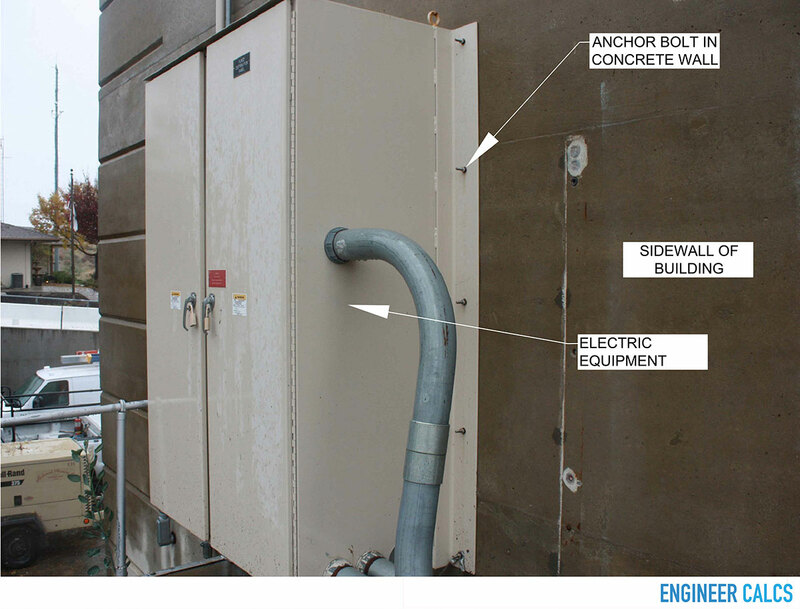 The anchor bolt threads will protrude from the concrete, and thereafter, a washer and nut is most often then used to secure the installed product. Note: these anchor bolts have a strong grip because they are pre-cast. They are typically used to tie walls to a foundation to make a building more earthquake proof. A concrete drop-in anchor has a cone shaped expander plug, and the anchor itself is a steel expansion shield, which tapers at the bottom. For installation, a hole is drilled into the concrete, and the anchor is placed and then driven into the hole until it becomes flush with the surface of the concrete. Thereafter, a special tool is used to expand the anchor from within. A wedge bolt is drilled into the concrete, after the concrete has hardened. The wedge is inserted into the hole, and then a bolt is inserted and screwed into the wedge. To secure the bolt, the wedge then tightens around the bolt. 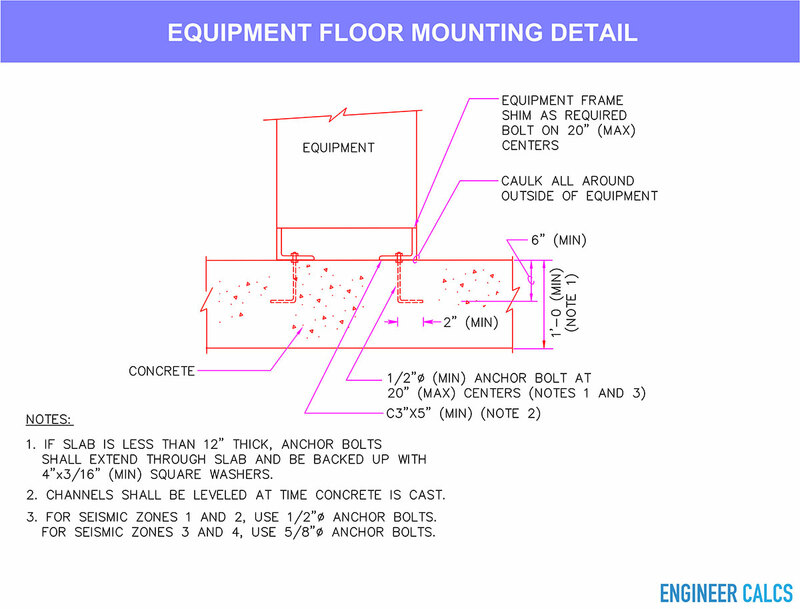 #1 Bolt spacing – Bolts need to be properly spaced whether on the floor or wall to best distribute the attached load. Be sure to install a bolt at least 12 inches from a corner, otherwise you risk cracking the concrete. #2 Planning – Proper planning is critical. Once bolts are inside concrete, they are permanent. The only option for removal of bolts in concrete is to cut off the piece of concrete the bolt was driven into. #3 Cast-in bolts – Best way to install bolts is to set them in the desired place while the concrete is still wet. Cast-in bolts are easy to use in installations, and are the best option – as they are strong in the concrete after the concrete has cured. #4 Embedment standards – Meet the embedment standards for a given anchor and project. Typically, the embedment for anchor bolts should be no less than 6 inches. Therefore, the bolt should be long enough for the minimum embedment requirement and to cover the thickness of the framing plate. #5 Epoxy – When using epoxy in a drilled hole, the hole must be properly cleaned with an air blower and brushed to ensure the epoxy sticks. Then two thirds of the hole will be filled with epoxy before the concrete bolt is installed. #6 Codes – Local codes must be used for minimum requirements for bolt spacing and depth, and for any other installation components. 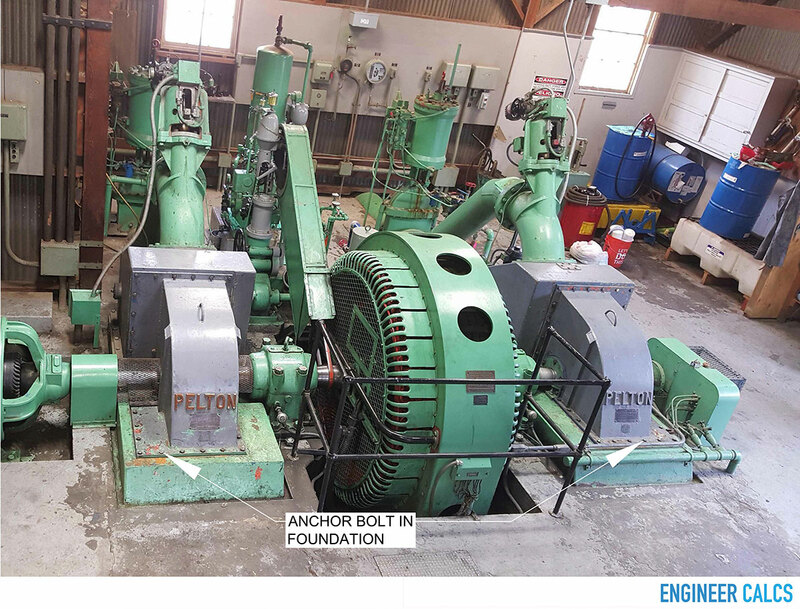 The generator in this hydro station has certain installation code requirements that must be met before startup to ensure safety and proper operation. Anchoring into concrete is a great way to mount most anything for a strong and secure hold. Yet, it’s always important to evaluate the environment of a project first, with the product that is to be attached in mind, to see what type of bolt will work best. 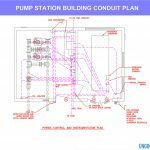 For large scoped projects, where public safety is a concern, it’s important and required to have a licensed Structural Engineer design the foundation and all supporting components in order to ensure reliability and safety.